True Motivation, we are highly motivated inside us! This is not a motivation talk, because you are already a highly motivated individual. Everyone is self motivated, it just depends on where you focus your energy to. We are self motivated to get the things we wanted, for example working hard and saving up for that car, house, branded watches or to earn money to feed your family and most importantly for survival. To get a ripped six pack, to get shredded, to feel secure, to get girls, to live healthier. Yes its a goal, but are these goal sustainable, why some people giving up half way? Its the mindset that matters, think about this “Oh its doesn’t matter if i am shredded or not, it is not gonna affect my living anyway.” Will you skip training today if your mindset is that? Do i need to have a fit body for survival? No! i need money more for survival as compared to having a good body! In the short term you can trade your time for money but think about it in the long run if you are down with critical illness because you didnt care for your body. Think about this situation where you are a successful businessman and one day you got struck by heart attack because you didnt watch your diet. Or you are wheelchair bound because you got too fat to walk? There isn’t any form of motivation in my opinion. There is only that emotional link that causes you to do what you are doing. Now we are looking at health as something we should do, but in fact health is something that we must do. Its like you must breathe in order to survive. It is always you should workout today, you should do that, but why not you MUST! When you say you should instead of you MUST, are you saying that health is not important! You only know you have to do it. Do you need any motivation to eat? Most probably not. If you need external motivation to do something, that thing might not be what you really want to do. For me health and fitness is a must, health and fitness is a lifestyle and not a short term goal. You spend so much time studying how to earn money to build your wealth, but what is wealth without health. Imagine if you are just training thinking that you need to lose weight just to look better, will you continue working out if you have no time? You will most likely to reply yourself, argh i got no time today i can always workout tomorrow or watch my diet tomorrow. BUT if your believe is this working out releases me from my stressful day and i will feel healthier will you find time to workout? I always believe to be healthy gives me more energy and i can work longer and concentrate better. Its not that we are different, or i am crazy to workout and eat healthy its just that healthy living is on my priority list. 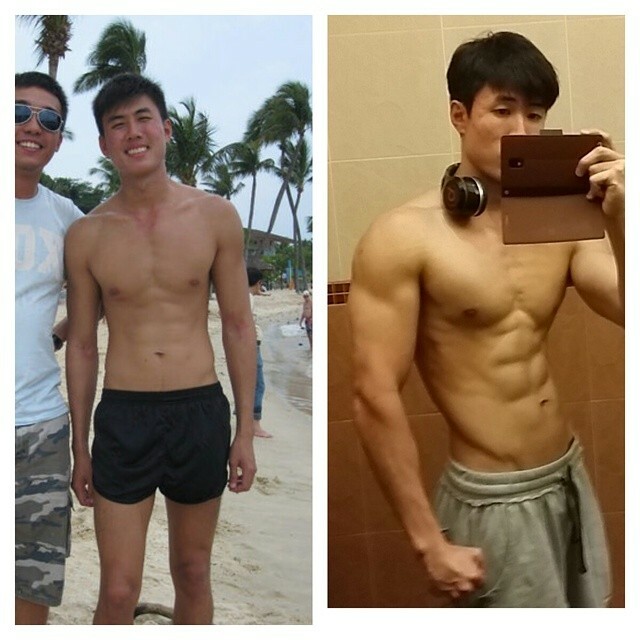 Author heechaiPosted on 14 August, 2014 18 April, 2018 Categories Article, Workout TipsTags healthy singapore, healthy singaporean, how to live healthy, live healthy, lose weight, motivation, singapore fitness blog, singapore fitness blogger, singapore healthLeave a comment on True Motivation, we are highly motivated inside us!